Spread on both banks of the Dnieper River, Zaporizhzhia is one of the largest regional centers of Ukraine – a remarkable industrial and cultural center, and an important river port. Known across the world as the Cossacks’ motherland, Zaporizhzhia continues to protect its traditions. The history of the city is intertwined with the famous Dnieper rapids and the Khortytsia Island. In the 16th century, the Cossacks – who were mainly peasants escaping from feudal oppression – founded the country known as Zaporizhian Sich here, which later came to be called the Free Cossack Republic. The Cossacks held off the Tatars’ advance on Zaporizhian lands, and guided merchant ships down the Dnieper River. They also actively participated in the national struggle against Polish occupiers. Not long after that, the freedom-loving Zaporizhian Cossacks began to worry the Russian Empire. In 1775, Catherine the Great ordered the Zaporizhian Sich to be destroyed, and the lands of the Lower Dnieper were merged with Russia. To save the empire's southern borders from the Crimean Khanate, Catharine decided to build Fort Alexander not far from Khortytsia. A settlement was formed near the fortress, where the Zaporizhian Cossacks settled. The population of this small town, called Alexandrovsk at the time, slowly grew. Soon, the town turned into an important trade and traffic center. However, over the next century the town’s development slowed. Only in the early 20th century Alexandrovsk, by then renamed Zaporizhzhia (which means "beyond the rapids"), began to greatly increase its production. The most powerful hydroelectric power station in Europe - "DnieproGES" - was constructed there. Iron works factories were built. In the 1920s and 1930s, Zaporizhzhia became one of the most important centers of industry and power engineering in the Soviet Union. The city had a hard time during the occupation, but after the Second World War, it succeeded in speedily reconstructing its industries. 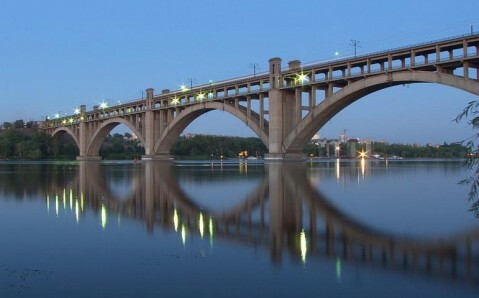 In the post-war period, double-deck bridges were built over the Dnieper, connecting its banks. Today, the bridges remain as a testament to the engineering and architectural prowess of the city’s constructors. From one of these bridges, one can catch a most splendid view of the “DnieproHES” dam, as well as the legendary Khortytsia Island. 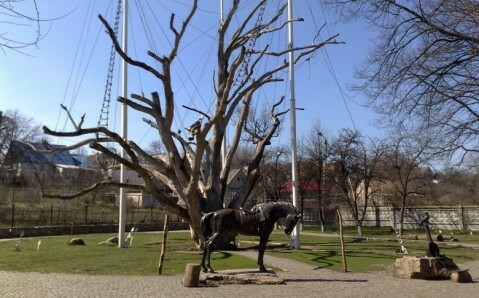 Today, the island is home to the historical and cultural complex “Zaporizhian Sich,” the National Museum of Zaporizhian Cossack History, and famous Theatre of Horse Riding, one of the city’s landmarks. Zaporizhzhia has a special charm, as its buildings, in the so-called Stalin Empire-style, are decorated with elaborate patterns, classical columns, and porticos in the neoclassic spirit. One can admire many of them walking along the Lenin Avenue – the longest avenue in Europe! Zaporizhzhia also has many museums, the most popular ones being the Weapon History Museum and the Museum of Retro Automobiles. The city’s suburbs also hold many points of interests. First, there are numerous unique burial mounds covering the Zaporizhzhia region. The most interesting one is the complex “Kamyana Mohyla” (literally, "Stone Tomb"), made up of huge boulders that used to serve as a special sanctuary for the ancient inhabitants of Zaporizhian area. And of course, laying on the edge of the warm and tender Azov Sea, the region attracts many visitors to its resorts. The most famous of them – Berdyansk, with its sanatoriums and sand beaches – has been for a long time a favorite place for those looking to relax and rejuvenate their well-being. 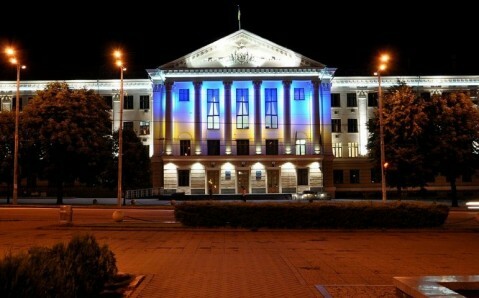 In recent years, more and more travelers have discovered Zaporizhzhia for themselves. They come here not only to be amazed by its unique sights, but also to experience the history of the Ukrainian people and to feel the powerful spirit of freedom that was endowed to the city by the Cossacks. Wondering about the Cossacks? 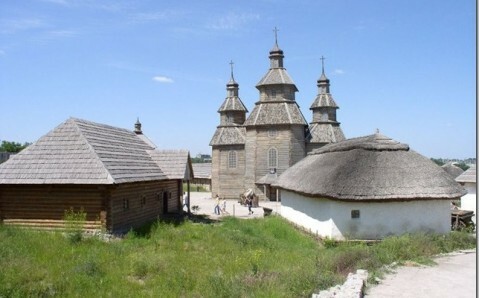 Spend a day on the island of Khortitsa in Zaporizhzhya, the site of their main stronghold known as the Sich. History aside, the place is beautiful with its rocky cliﬀs and rapids, and Dniproges dam looming in the distance. So, so Soviet! 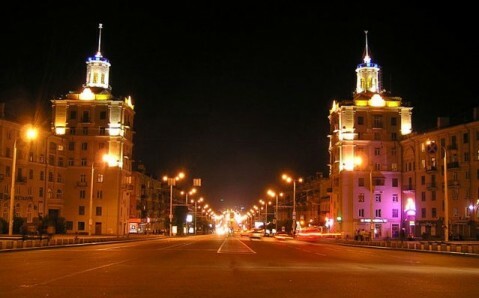 For a visitor, Zaporizhzhya is essentially one avenue lined with sometimes imposing Stalinesque architecture. Named after its Moscow equivalent, pr Lenina runs from Avtozaz, the birthplace of the Zaporizhets – USSR’s most ridiculed car model – to the Soviet industrial icon, Dniproges power station. Neither of which are the reason people come here on holiday. The reason is Khortytsya – a rocky forested island where Cossacks set up their all-male free-rule republic, which prospered from raids on neighbouring empires and duties levied on anyone who used the river trade route.